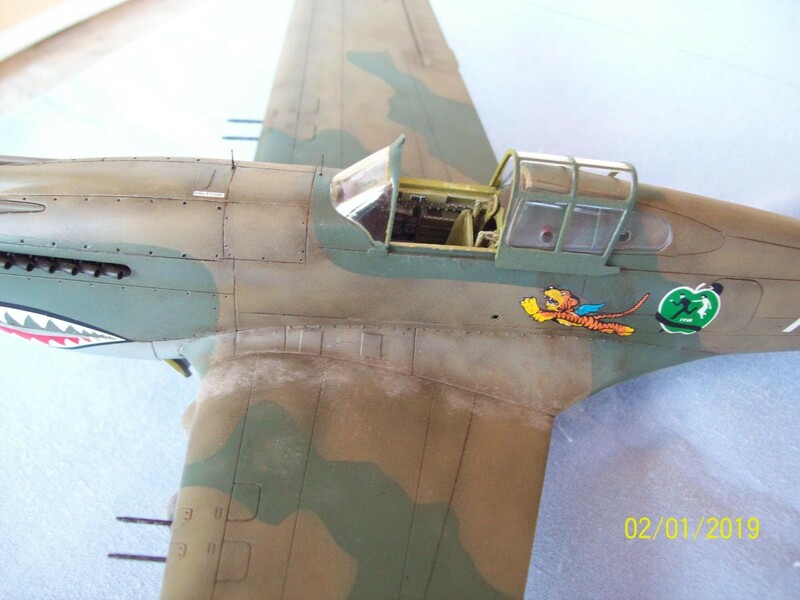 Robert Neale’s plane. Used Ultracast seat, prop/spinner and Master gun barrels. Love this, Dale. Nice modulation without crossing that ‘cartoony/overdone’ look. Nicely weathered – lovely matt finish, too. 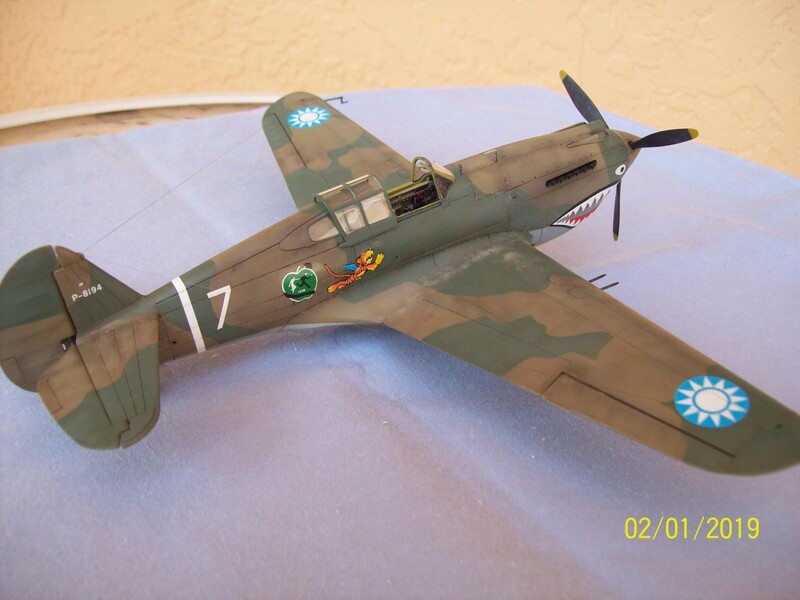 Excellent P-40 Dale, faded paint on a well used plane in theater. 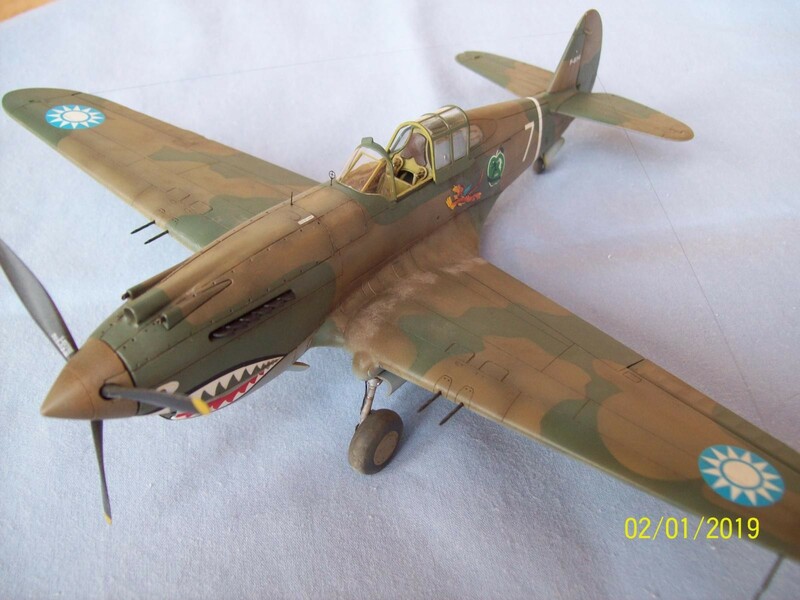 The Airfix kit seems to represent an early P-40 very well. Thanks for sharing. 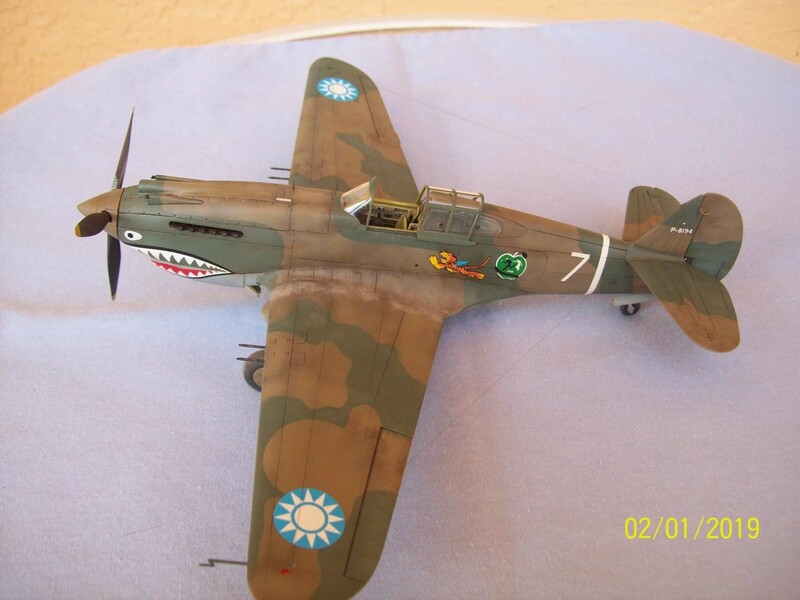 This is one of the better finishes I’ve seen of any Flying Tiger P-40. 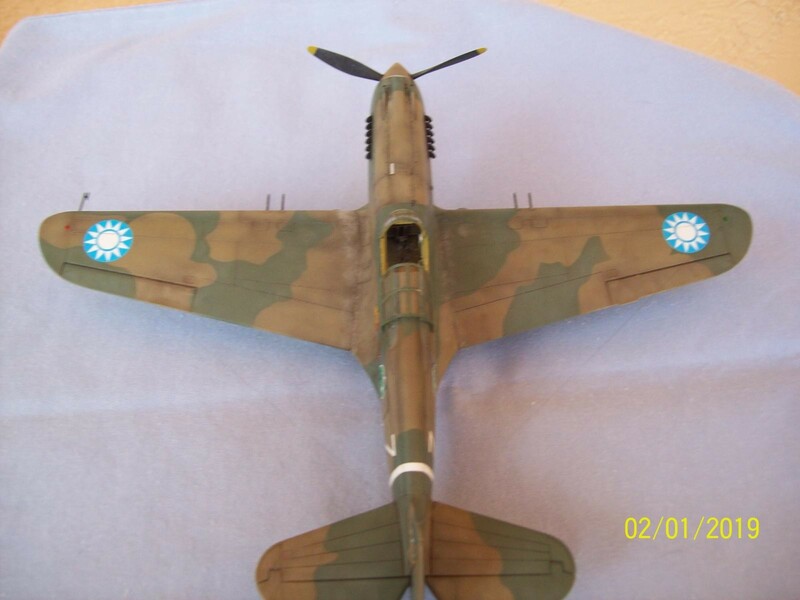 Usually, the colors are straight from the bottle or the paint manufacture has a different take and the modeler is happy to get everything in place with the end result looking like a painted model. Your approach hits the nail on the head and you must have been channeling the Chennult vibe. 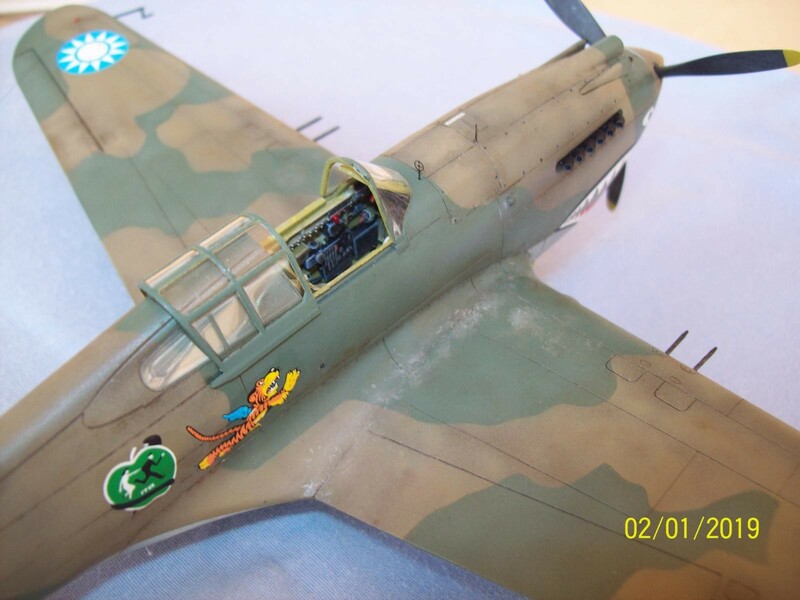 The Airfix P-40 gets some niggles with regards to the Nuns hat,the prop and spinner attachment. 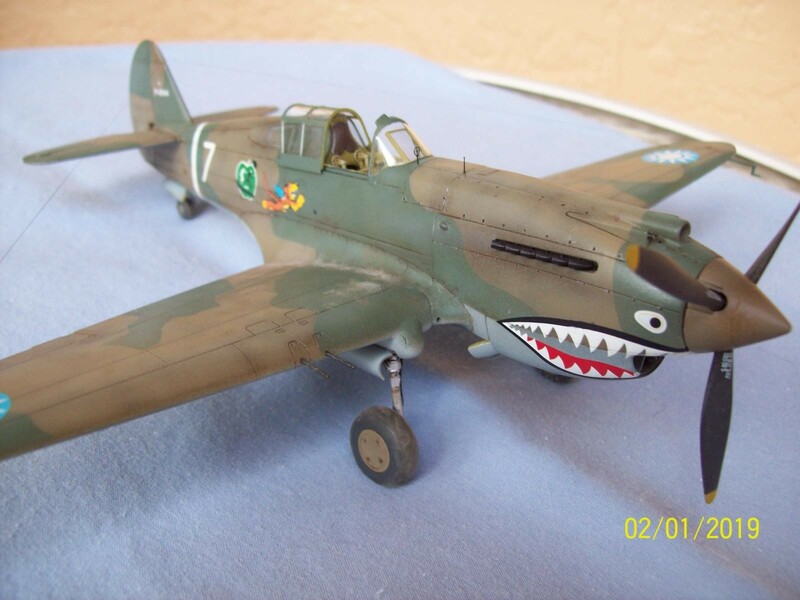 However Dale, you pulled off a great paint job that goes along way into making a viewer think …now there is a P-40 that flew with the Tigers. 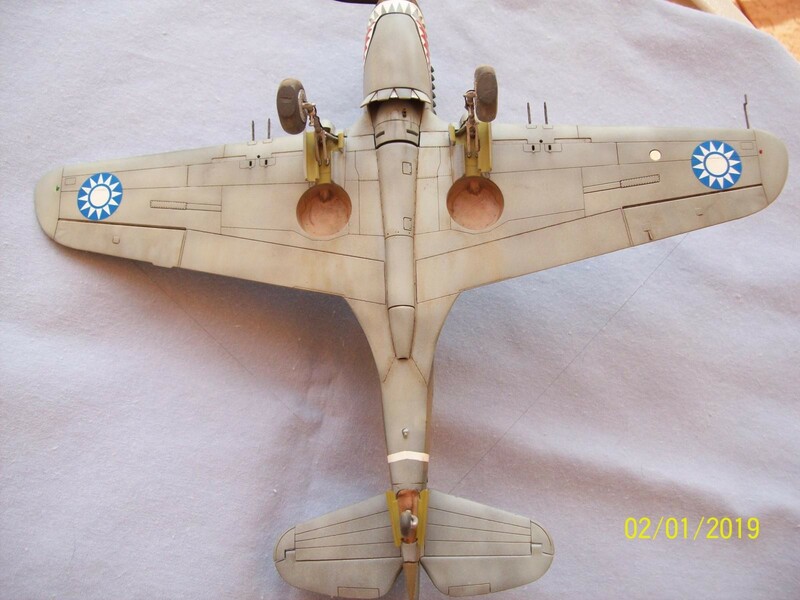 These Airfix kits can be made to be winners. 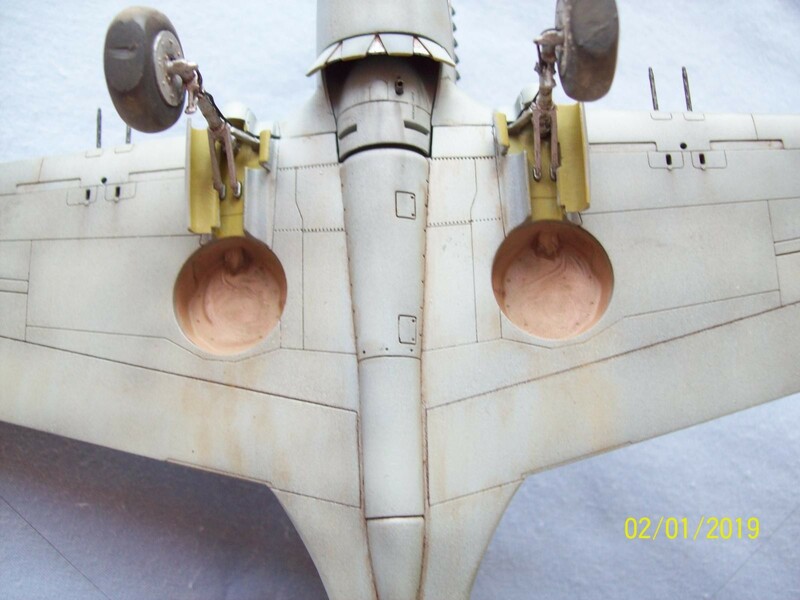 Dale, Nice touch of weathering and paint fading, looks to me that you’ve captured that just right look on this. I like it a lot ! Nice job, Dale. As the others stated, I like the paint job. I just started this kit myself this past weekend but I will be doing the Pearl scheme. I hope I do my build justice as yours. 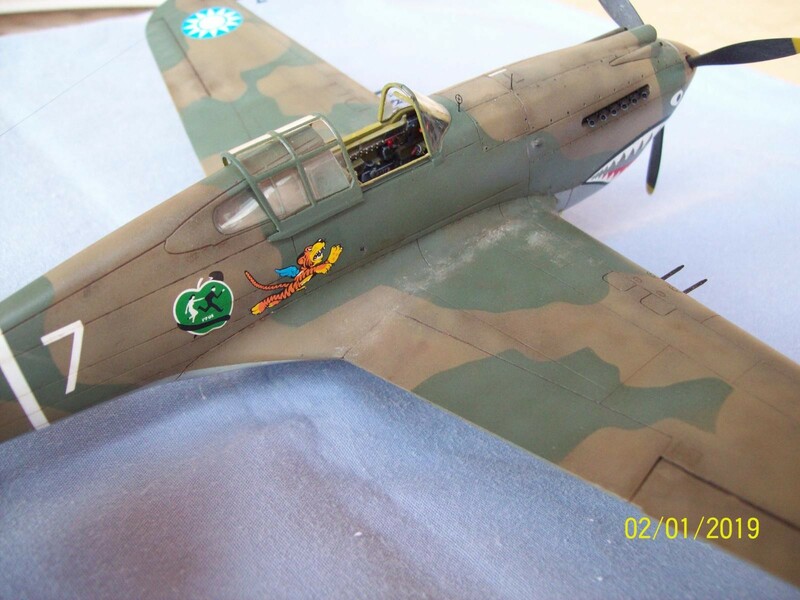 The decals are from an Eaglecals sheet. Thanks to everyone for the nice comments! 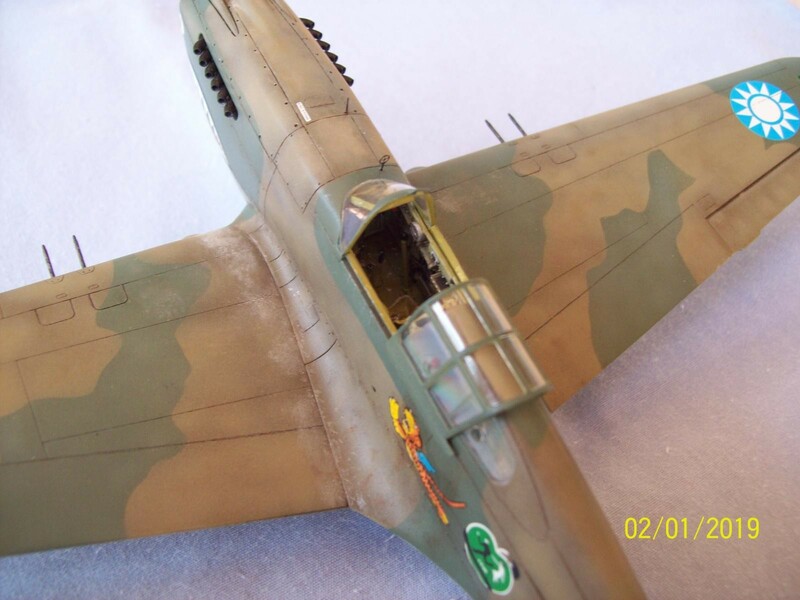 Very well done Dale, the modulation weathering as well as the FLAT paint work are so well achieved here. 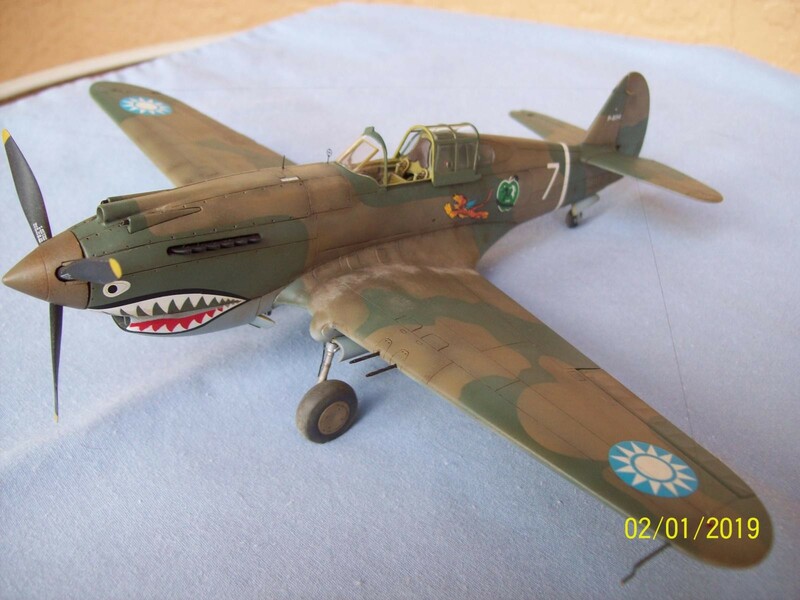 Sharkmouth P-40 – Nice work Dale ! Beautifully built and finished! The weathering and fading on the upper surface is excellent. Well done! As everyone else has noted, the paint job really elevates this one above the pack. Excellent work on this. Neale’s been overlooked and he shouldn’t be. The first AVG ace. 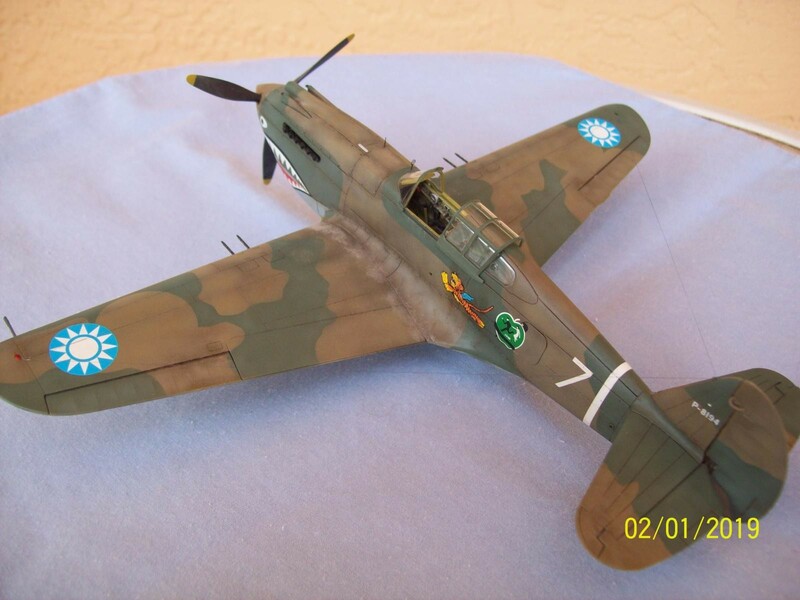 Agree with all the replies above – a really great paint and finish job on this! Well done. Thanks again to all for the encouraging comments!